Cinnamon. Nutmeg. Mulled wine. Roast potatoes. Crisp air. Candy cane. Pine needles. Christmas pudding. Vanilla. Hot chocolate. Oranges. Baileys. Burning candles. Sugared almonds. Spekulatius. Gravy. I think of these and I enter a reverie of nostalgic memories that make up Christmas. Without any of these smells, something important for the festive spirit would seem to be missing. We can repeat the experiment with any other season: imagine freshly cut grass mingling with the smell of sunscreen, blooming flowers, and ice cream. It is strange that such an unremarkable sense as smell – one so little noticed or appreciated – is so integral to our experiences and memories. There is something special about the sense of smell, which manages to encapsulate and trigger a host of memories unlike any other sense. Perhaps it is because it underlies our everyday experience so much, that we are hardly ever aware of it. In this way, it manages to shape our awareness of a moment without us even realizing it, and becomes intricately entwined with each memory. I think that is also what makes smell such a fascinating and rich sense. It is able to link, perhaps sub-consciously, each moment of our lives with ones in the past and thereby manages to make a web of connections between the past and present. This gives it a depth which no other sense has. And its beauty is that we are often not even aware of it. Only upon recollection may we realise that we are able to make so many connections between the past and the present due to the similar smells we encounter. Only when we reflect upon the extraordinary impact that smell has can we appreciate just how indebted we are to it in giving each experience a depth it previously would never have had. One facet which makes smell so unique is that it is intangible: that is what makes it so hard to describe. Each place, object, person, or moment has its own unique and complex combination of smells that makes it elusive of description. If I try to describe the smell of cinnamon, old books, or a special person in my life, I become stunted. They smell simply and precisely like what they are. If I compare this to other senses, such as sound or image, I am struck by how indescribable smell is. Maybe that is also what makes smell such a powerful sense, as it manages to move past adornments or the separate parts in encompasses, and penetrates into the essence of whatever it is attached to. It is no surprise that smell can be such a source of comfort, because it allows you to remember a place, a person, or a particular moment of the past. Precisely because it manages to encapsulate so many different sensations into one single smell, it is able to reflect the complexity of elements involved in any single experience. As these same factors only re-combine when all elements are present, it means that a recreation of the same smell triggers a specific and strong memory attached solely to this mixture of scents. That is why Christmas is such a perfect example of the powerful effect of smell. 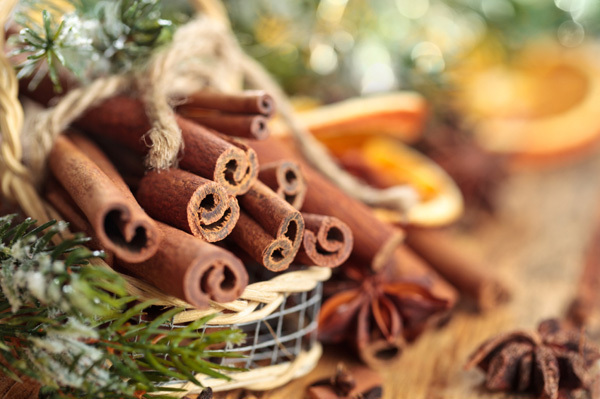 As most Christmases are full of traditions, the same conditions and productions of smells are recreated yearly, as the traditions are repeated. In this way each whiff of Christmas is layered with our recollections of the past and underlies our experiences of the present. No wonder it is such a nostalgic time of the year – imagine the sense of loss you would feel if all of your memories of Christmases past weren’t sparked when entering the kitchen on Christmas day. Perhaps this year before tucking into your Christmas dinner you can give thanks not just to your family and friends, but also to your remarkable and unacknowledged sense of smell.